Includes the signature CCR hits "Born On The Bayou" and "Proud Mary"
Fantasy's Creedence vinyl reissues series, which will continue throughout 2014, launches with Bayou Countryand Cosmo's Factory. 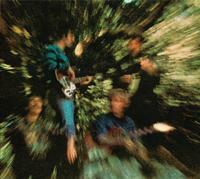 It was in January 1969 that Creedence released the first of its three LPs that year,Bayou Country. The product of frontman/songwriter John Fogerty's fascination with Louisiana swamp-rock and R&B, the album contained the hits "Proud Mary" and "Born on the Bayou" and key FM radio tracks "Graveyard Train," "Keep On Choogling" and a cover of Little Richard's "Good Golly Miss Molly." According toAllMusic.com, "Bayou Country announces that CCR had discovered its sound."